Here is an interesting article discussing the opera Martha. 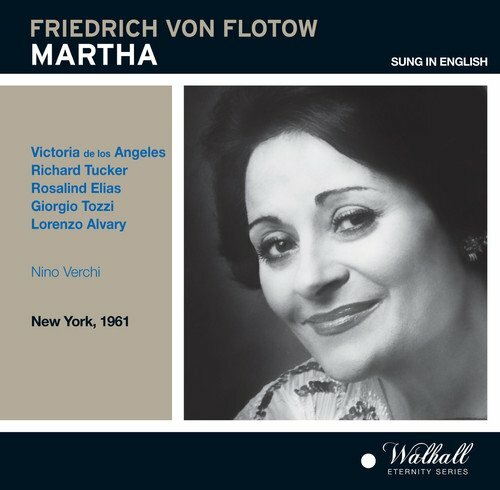 Flotow did something that, so far as I know, no other opera composer has ever done: he wrote his OWN adaptations of the opera in three more languages, Italian, French and English, so that the work could be performed almost anywhere in the vernacular of the local audience. 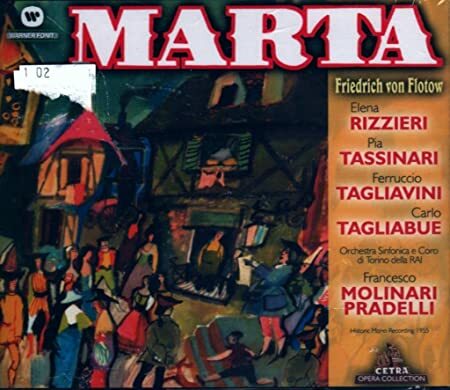 I had this in a German opera set and kind of blew it off because of sound quality, but I think I happened to get one of the best masterings, which i think is the Brilliant Classics set as I recall from listening to the manyfold releases of this performance (I count six different covers/releases on Amazon). 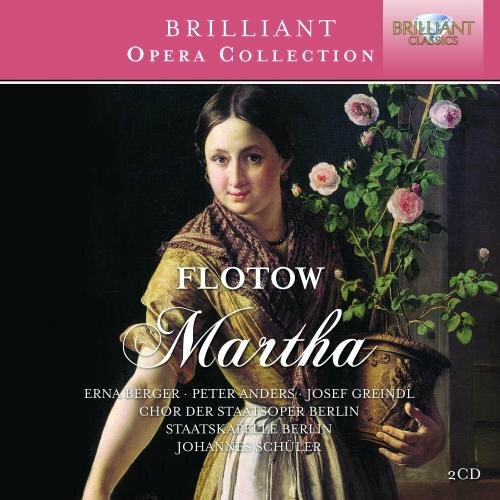 I have been listening to it yesterday and today and have to agree with the author of the article linked in my previous post that this is a wonderful performance of Martha. To quote an Amazon reviewer who sums it up well, "It suffers not from cramped sonics (it was recorded in a spacious hall with good resonance) but from some distortion and "blasting" on high notes and loud passages from the orchestra and chorus." Last edited by Fritz Kobus; Jun-22-2018 at 03:28. Last edited by Fritz Kobus; Jun-27-2018 at 17:36. I am sure Erna's is a good one but hard for me to know for sure. One thing for sure, when you consider voice, delivery, and sound quality of the recording, Lucia Popp is the best. The other thing against the Berger set is it has cuts, nearly 20 minutes worth of cuts. Do you sometimes get the impression you're talking to yourself in here, Fritz? I should get the moderator to move all this to my blog area. Is there a De los Angeles Martha? Sorry if I've asked that before. Last edited by Fritz Kobus; Jun-28-2018 at 16:41. I should add that in the beginning of the this video clip, the singer very nicely does the intended name flub. I've never heard the opera before. Would you recommend a different performance for my first one?